Kochi: Two persons, including a worker from Salem in Tamil Nadu, died when an unauthorised quarry collapsed at Neyyattinkara near Thiruvananthapuram on Friday. Satish, 28, of Salem and Binil Kumar, 23, of Malakulangara were those who died, police said. Sudhin, 23, and Aji, 45, suffered serious injuries and were admitted to Thiruvananthapuram Medical College. Five others suffered minor injuries. The incident occurred when a rock was being blasted. It fragments fell from a height of 75 ft. 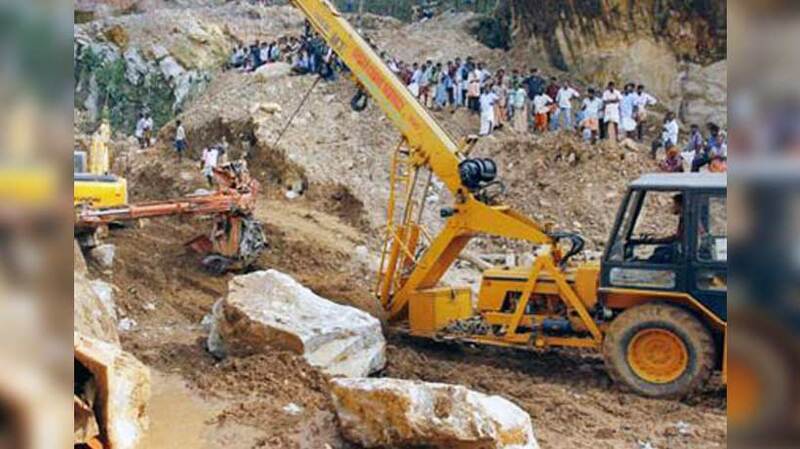 The Kunnathukaal panchayat president said not a single quarry had been given permission to operate.